Utah businessman's dealings looped in two Utah attorney generals. 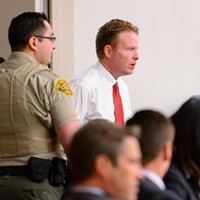 Jeremy Johnson, the St. George businessman whose shadowy campaign contributions ensnared two former Utah attorneys general into a scandal, has been found not guilty of 78 of the 86 charges levied against him by federal prosecutors. The 86-count federal indictment alleged that Johnson had committed conspiracy, bank fraud, wire fraud and money laundering while presiding over his Internet business, I Works. After six weeks of testimony, the jury deliberated over the case for a week and, on Friday, found Johnson guilty of eight counts making false statements to a bank. His associate, Ryan Riddle, was found guilty of six counts of making false statements to a bank. Sentencing for both men is set for June 20. Prior to his indictment, in the face of looming investigations, Johnson spoke openly in the media about how he sought help and assistance from former Utah attorneys general John Swallow and Mark Shurtleff, all while contributing cash to both men. Both Shurtleff and Swallow now face criminal charges from their time in office—some stemming from allegations made by Johnson, and both maintain their innocence. Rawlings used the Johnson verdict to needle federal law enforcement agencies whom Rawlings has accused of being uncooperative in his prosecution of Shurtleff (Salt Lake County District Attorney Sim Gill is prosecuting Swallow). After a lengthy investigation, the Department of Justice declined in 2013 to file charges against Shurtleff and Swallow. “What will have a pronounced impact on State of Utah cases is whether the Department of Justice (meaning the U.S. Attorney’s Office in both Utah and Washington, D.C.) cooperates, like the FBI has done to a significant degree, in providing responsive material to all remaining requests for documents made by both the State of Utah and defense counsel for Mr. Mark L. Shurtleff,” Rawlings wrote. Rawlings and Shurtleff, in a strange twist for a criminal prosecution, have found common ground in their belief that federal law enforcement agencies are hiding important information about Shurtleff. 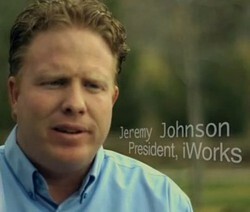 Jeremy Johnson remains defiant as third week of John Swallow trial kicks off.